Our Head Concierge, Aurelie Chanel, answers some questions to give some inspiration and insight to people working in and around Grosvenor Place. What does your role of concierge involve? The role of the Head Concierge at Grosvenor Place involves creating a memorable experience and providing a warm and friendly welcome for all our tenants and their guests on a daily basis. The role also requires us to assist with any tenant requests that are received. These include but are not limited to restaurant reservations, dry cleaning, show tickets, holiday planning and assisting with event management. Which is your favourite feature of the building? I love how the magnificent onyx wall of the back lobby area is illuminated by the light coming from behind it. The venue is positioned at the gateway to Sydney’s Historic Rocks and spectacular harbour, along with its arts and dining district. What kinds of activities and dining venues are easily accessible to tenants? The options for exploring Sydney’s historic Rocks and Sydney Harbour area are endless. Enjoy a run around the newly completed Baranagaroo Headland or enjoy the best views of the stunning Sydney Harbour with a picnic on the grass in the Royal Botanic Gardens or nearby First Fleet park. 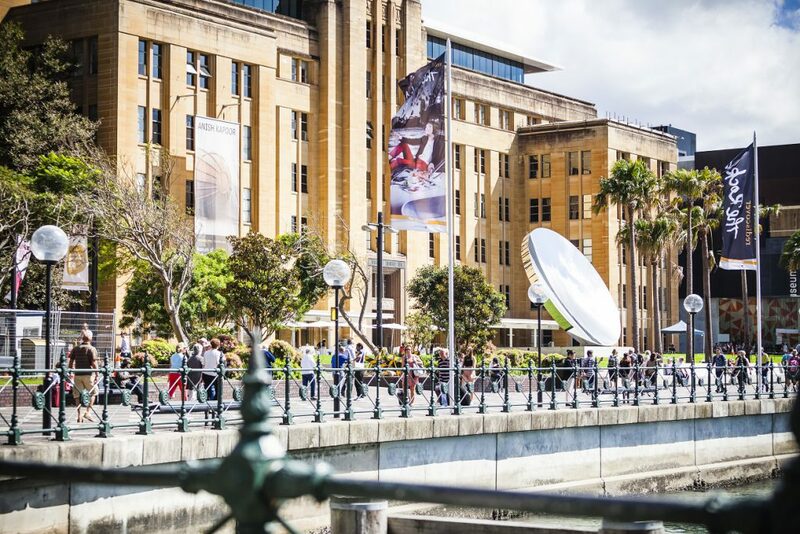 Discover the small arts and craft stores that are scattered around the Rocks and Circular Quay or head to the Museum of Sydney (MOS) or the Museum of Contemporary Arts (MCA). Enjoy a French Patisserie at the Cafe La Renaissance at the Rocks, a personal favourite of mine! Beautiful views can be taken in whilst enjoying a pre-dinner drink at the popular Hacienda Sydney inside the Quay Grand or Junk Lounge on level 1 of Cruise Bar, followed by dinner at “The Living Room Restaurant” inside the Park Hyatt Hotel. The hotel is dowsed in natural light and has floor-to-ceiling glass windows which offer mesmerizing views of glittering Sydney Harbour. Let’s not forget our very own newly opened Rosetta Restaurant with Executive Chef, Neil Perry or Bistro Guillaume with Head Chef, Guillaume Brahimi less than five minutes’ walk away. What makes Grosvenor Place stand out from other commercial buildings within Sydney’s CBD? A stand out for Grosvenor Place, is the focus on tenant wellbeing. Tenants have the opportunity to unwind in a complimentary session of yoga, pilates or our newly introduced meditation class or revitalise with our bootcamp. 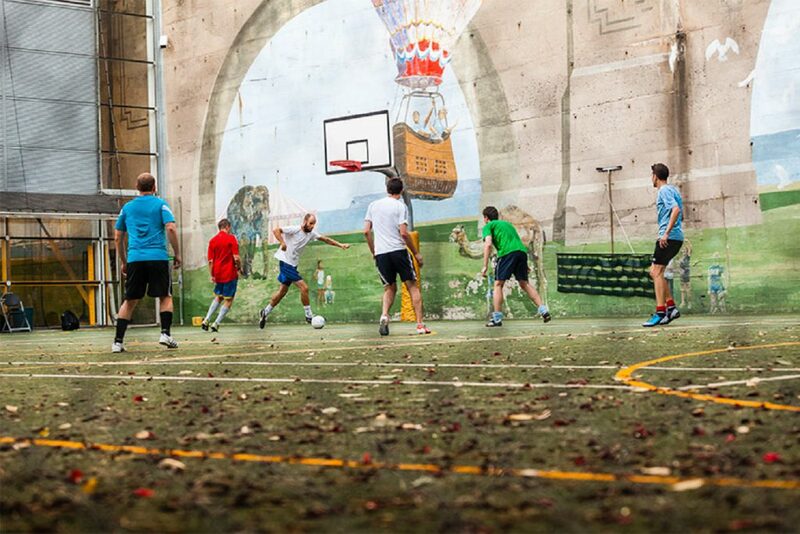 Tenants can then take advantage of our state of the art end of trip facilities, Camerino. Our bicycle commuters have the opportunity to have their bikes serviced throughout the year through our bike tuning services provided by The Good Works. Some of Sydney’s best restaurants are situated all around Grosvenor Place and on site. How do you research and recommend places to go? I have worked in hospitality for over 20 years worldwide and for 10 of those years in Sydney. From my experience, I have found word of mouth to be the best way of finding all the hidden gems of the local area. I always like to try somewhere before recommending it to a tenant of Grosvenor Place. What’s the best way to arrive at Grosvenor Place? Grosvenor Place is situated in a prime position and is easily accessible via train from Wynyard or Circular Quay just a few minutes’ walk away. If you’re travelling from the Northern Beaches, you can take advantage of Sydney Ferries. Alternatively, take the bus to one of the numerous stops in the Grosvenor Place vicinity. The Cahill expressway and Eastern Distributor provide easy access for vehicles. Cyclists can take advantage of our end of trip facilities, Camerino, with helmet lockers, bike stands and luxury changing room facilities. Tell us about some of your more unusual requests? Once I remember being asked to arrange transportation for a pair of miniature poodles overseas. This was a very interesting request to say the least! What is something you would recommend to every Grosvenor Place tenant? Come and introduce yourself to the team as soon as you can to see what we can do to make your day.